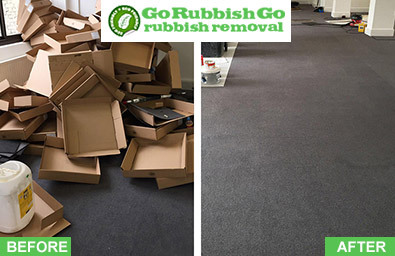 If you have forgotten what the floor of your home, loft or garage looks like, then you might want to contact Go Rubbish Go for a chat about our excellent East Finchley N2 house clearance services. We are the best N2 house clearance company in when it comes to providing the eco-friendliest, most trustworthy and reliable service. Once you have booked us at a specific time then we will be there to revamp your home in East Finchley. Contact us on 020 8610 9182 today to hear more about what we offer. Our house clearance service is extremely non-judgemental, we know just how easily clutter can build up and that sometimes it just takes one small thing to realise how bad things have gotten. Clearing your home is the start of creating a new life for yourself and we like to think of our service as a small investment into changing your home. This service can even up the value of the house if you are looking to sell. Our East Finchley house clearance N2 team does everything for you so it’s all included in the cost. Our prices are extremely reasonable and the lowest in East Finchley. Not only are we the cheapest house clearance company in East Finchley, N2, we are also the most experienced and we work with the environment and our customers’ needs in mind. 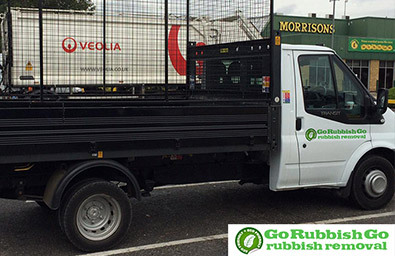 We recycle your rubbish and unwanted items so that you don’t have to. You can just enjoy the benefits an N2 house clearance East Finchley provides after we have gone. We love to see the response to our services and get some fantastic reactions. You might be surprised with how much space lies under that clutter. So call now at 020 8610 9182 and get going on that loft conversion or extra guest room you have always dreamt of. Go Rubbish Go understand the importance of keeping your home as a space to feel comfortable in. 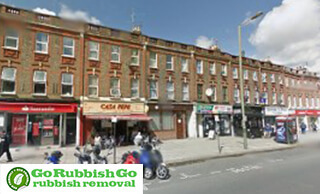 Use your home in East Finchley to its full potential and clear out any rooms that are just left full of junk. Think what you could do with all the space you are left with after a house clearance in N2, from home gyms, to a whole new floor in the loft. Maybe your family is growing and it’s time to extend. Either way our clients have always been delighted with the results they have seen from our services. Call 020 8610 9182 now to hear our unbeatable prices and get us booked in for your East Finchley house clearance now. The best thing about our East Finchley, N2 house clearance services is that you really don’t have to lift a finger. The removal, disposal and labour are all included in your house clearance cost. We come at a time that suits you and your busy schedule and depending on the amount of time you need things cleared in, we send a team of the corresponding number of highly qualified people necessary for the job. We can be done in absolutely no time at all so if you really want we could get your house clearance in East Finchley, N2 done on the same day you call us. It’s that simple; all you have to do it take the first and last step which is to pick up the phone and call 020 8610 9182. Go Rubbish Go know it’s not fun letting someone come into your home in East Finchley and it’s is understandable that it can make some people feel uncomfortable. That is why we run checks on all our staff and make sure they know how to meet your needs. Whatever requirements you have, we are happy for you to call us and let us know. We will try and meet any house clearance needs you might have. We know everything there is to know about getting your N2 home back on track and we work with all the local recycling plants in the area. We have our go-to areas so that your unwanted items go on to be put to good use. So don’t delay and book your house clearance East Finchley today. East Finchley is located in the London Borough of Barnet. This North London area is home to many schools such as Bishop Douglass RC High School and Our Lady of Lourdes RC primary school. This quaint area is perfect for both families and young professionals with an independent cinema, a public library, Cherry Tree Wood and many local shops, fast food restaurants and cafes. East Finchley tube station is on the High Barnet branch of the Northern line, making access to Bank and the city extremely easy. Busses also link East Finchley to Barnet and Brent Cross. With an abundance of green spaces and things to do for people of all ages, it’s no surprise this is a popular place to live with house prices ever on the rise.